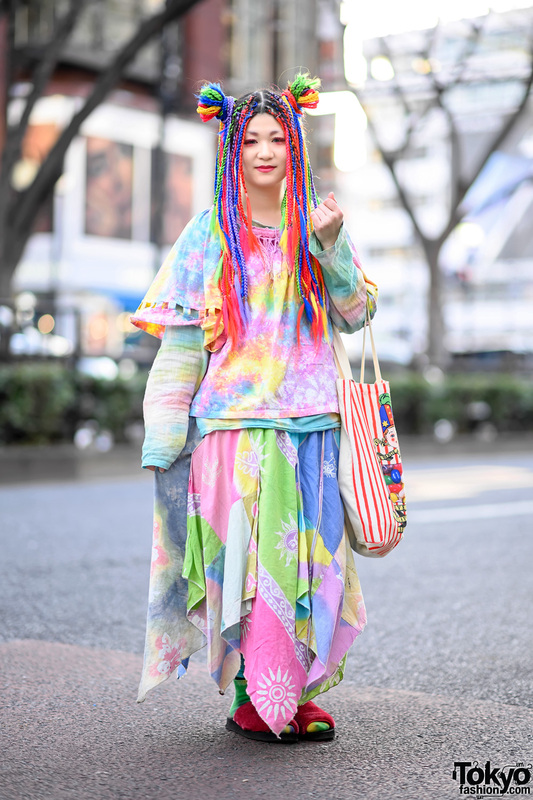 Shoushi is a well known personality in Tokyo’s street fashion scene. This time, we met Shoushi on the street in Harajuku after dark. 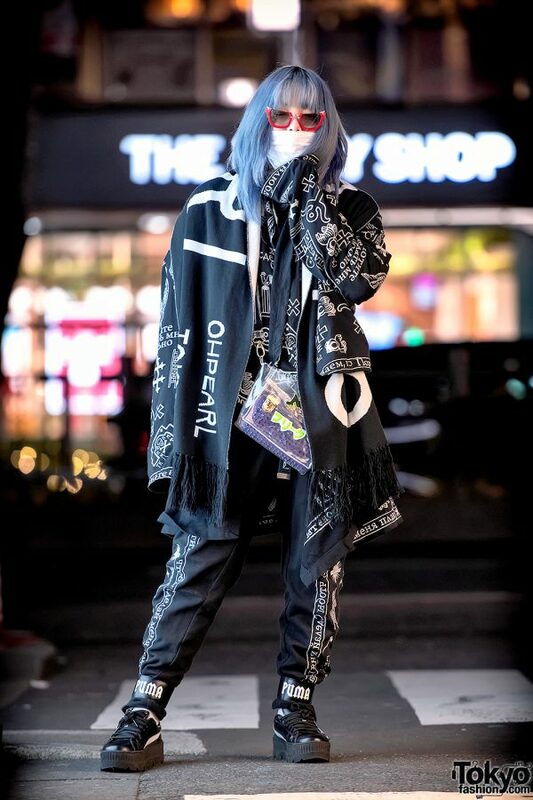 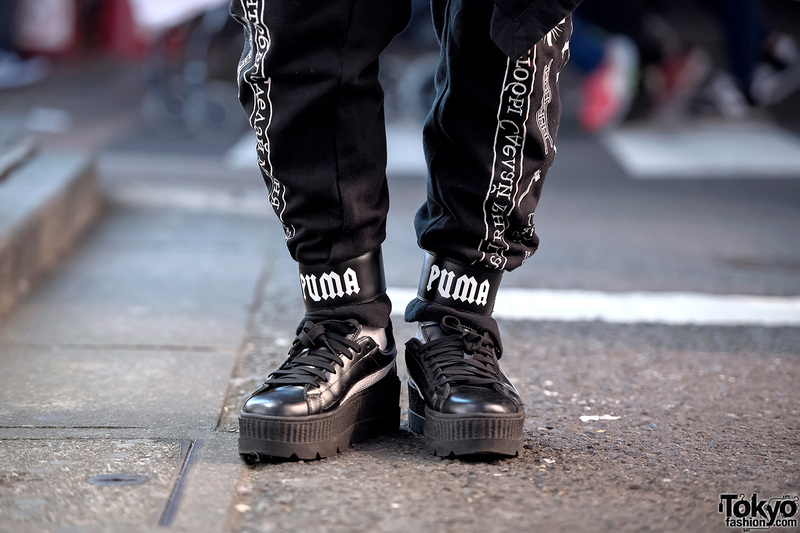 Shoushi’s monochrome streetwear look features a KTZ jacket over a Freak City top, KTZ pants, and Fenty Puma high top sneakers. Accessories include Miu Miu sunglasses, a face mask, a scarf from the Harajuku boutique Oh Pearl, and a see thru Freak City purse. 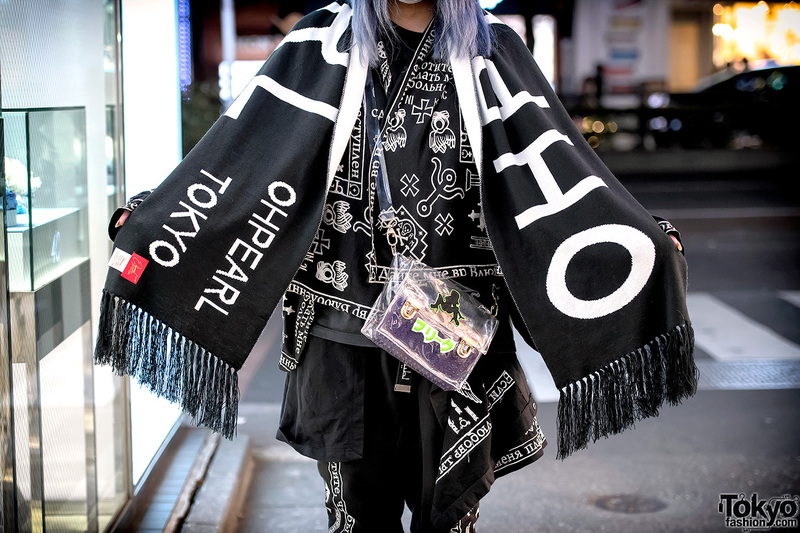 Shoushi’s favorite fashion brand is Freak City and favorite musical artist is Brooke Candy. 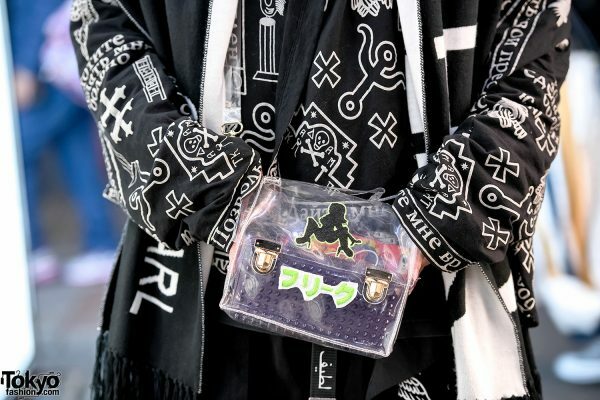 Follow Shoushi on Instagram or Twitter for more of their unique street style.